One of the things that causes me the most consternation about the entire argument over gun control is how so many people who express opinions on the matter exhibit a complete lack of knowledge on the instruments at the center of the discussion. More, it’s frustrating to realize that among all the voices chiming-in, there are a great number who have no idea why it is that we have the Second Amendment, or what all the fuss is about. To them, it’s a simple matter: Collect up all the guns and the problem is solved. Sadly, simplistic views like this aren’t very likely to bear fruit, and there is good reason to be skeptical about those who express them. After all, before launching into a tirade against guns, or anything else for that matter, one ought to know a bit about the subject matter, but it seems to have become the fashion in America to speak with conviction on issues about which one may know precisely nothing. This article is an attempt to lift the veil of ignorance that seems to shroud so much of the public discourse, and while my readers may know much of this material, I have no doubt but that there are millions who might benefit from the information contained. In practical terms, however, when most people talk about fully automatic weapons, what they are describing is a gun that will continue to fire one cartridge after the next by merely squeezing and holding the trigger. I am always perplexed when media outlets describe a shooting with a semi-automatic weapon as “spraying the room with bullets,” since “spraying” implies a continuous stream. If the trigger is being re-pulled with each round, there is no “spraying” involved. “Peppering” is a better descriptor, but naturally, the media blows everything out of proportion. They may share an anti-gun agenda, but I believe another explanation is that most people in the media are equally ignorant about guns. Only with automatic weapons is something remotely like “spraying” possible. Automatics are very rare in fact, and have been strictly licensed for decades. There is a great deal of paperwork and taxation and licensing fees involved in maintaining an automatic weapon. In stark contrast, what is generally regarded as a semi-automatic weapon requires an additional pull of the trigger for each round to be sent down-range. The confusion arises because there are any number of guns that look just like their automatic cousins, but are instead purely semi-automatic weapons. What most people know as the AR-15 is simply the semi-automatic cousin of the fully automatic M-16 rifle, first tested and fielded by the Army in the 1960s. 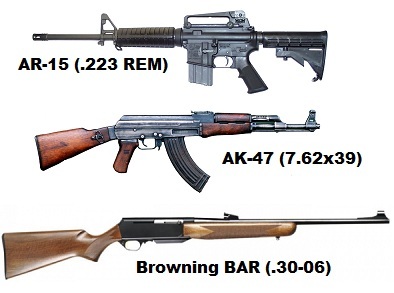 This family of rifles has been through several stages of development, and there’s no denying that they even share many common parts, but I can most thoroughly assure readers that an off-the-shelf AR-15 is not an automatic, and is not capable of “spraying” anything in the sense of a fully automatic M-16. An M-16 has a maximum cyclic rate of around 700 rounds per minute. This assumes you could feed it a continuous stream of ammunition, and that the barrel would not bow like a banana from the heat well before a full minute had elapsed. A semi-automatic is in fact a self-loader, or an auto-loader, in that when you squeeze off one round, the rifle will by a combination of spent propellant gases and mechanical action eject the spent cartridge and reload the next round, provided one is available. One must release and again squeeze the trigger to fire the next round and send it down range. Military rifles like the M-16 have a select-fire feature that permits the user to place the weapon in automatic or semi-automatic mode. Civilian rifles like the AR-15 do not have the automatic setting, and can only fire in semi-automatic mode. The same thing is true of the much-discussed AK-47. There are as many versions of this rifle in the world as there are manufacturers, plus some, but those legally imported into the US are all of the semi-automatic variety. 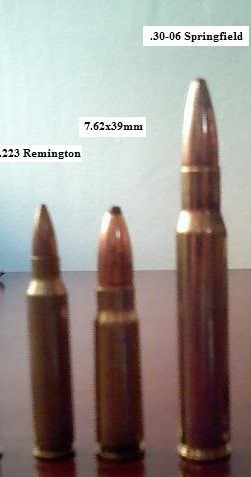 In fact, while it is theoretically possible to convert many of these rifles to fully automatic function, the jail time one would incur for having done so is hardly worth the trouble of modifying one, and depending on which model and so forth, you may have some substantial but delicate machining ahead of you. It’s simply not worth it, either in terms of any perceived benefit, or in terms of the probable criminal liabilities. In all the hundreds upon hundreds of gun-owners I know and have known, I’ve never known so much as one willing to entertain the idea. We rational gun-owners enjoy our right to keep and bear arms far too much to put it all at risk over something so foolishly wasteful. 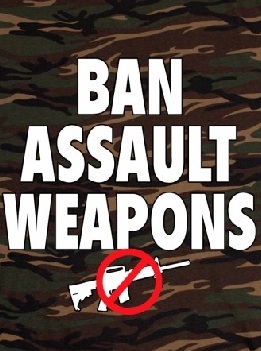 One of the questions I am asked by people who aren’t aware of the reasons for the so-called “Assault Weapons Ban” of 1994 given the differences in function between an automatic weapon and a semi-automatic weapon is why it was that such weapons were ever banned at all. The answer is purely political. So-called “Assault Weapons” merely look menacing, and as we should all know by now, politics is frequently all about perceptions. If you want proof, consider one of the features banned in that law: The Bayonet Lug. A bayonet lug is a machined block or other appendage on a rifle that permits the mounting of a bayonet. I have never heard of a single person committing a crime with a bayonet attached to an “assault rifle,” and yet we are told that this is a feature that makes them more dangerous. I don’t have any statistics to back this up, but given what I know about the world in which I live, I am willing to bet that more people are killed by meteorites hitting them in the head than have been killed by a madman with a fixed bayonet. Since this is the case, one must ask what rational purpose there is to this classification of so-called “assault weapons.” The answer is that all of the criteria are purely cosmetic. Much is made of the question of magazine capacity, but frankly, this is a lot of steam. Take your average Glock 17, a weapon that is fairly common, and sadly has been used in a number of the high profile crimes of which we’re all aware. There are those who, apart from simply calling for an outright ban, want to restrict the number of rounds one can store in a magazine to just ten. I say “just 10,” but 10 shots are plenty in the hands of a practiced shooter, because if you’ll head over to Youtube, you can watch videos of competitive shooters who are able to change magazines and resume fire in less than one second. In other words, any perceived hitch in reload time is very minimal for somebody who is well-practiced. On the other hand, for those less-experienced shooters who may simply be trying to fend off some home-invader(s,) a magazine change could take several seconds, costing them time and permitting the assailant(s) to close the ground between them. Having a higher-capacity magazine is a distinct advantage for the less-than-expert home-defender, because having nearly twice the rounds on tap probably increases their chance of successfully defending their home particularly against multiple assailants. The point is, however, that with practice, the difference between two ten-round magazines and one seventeen-round magazine is negligible. Some will ask: “But what about Assault Rifles? Surely their magazines cannot be changed so quickly!” Really? Try this video. As you can plainly see, magazine changes, no matter how frequent, are of little consequence to somebody trained to shoot. There are those who will say “But that proves our point about semi-automatics.” Not really. Watch this gentleman firing and reloading his revolver. As you can see, there’s nothing about this that would suggest that some of the most horrific shootings we’ve witnessed over the years would have been even slightly different in terms of the results by eliminating semi-automatics. Perhaps this will lead you to believe that I’ve made the case against all semi-automatics, but before you jump to conclusions, take a look at this video of a seventy year-old bolt-action rifle. What nobody seems willing to discuss is how often firearms are used in the defense of innocence against the insane or malignant people who manage to get their hands on them. In one recent case, an off-duty Sheriff’s Deputy in San Antonio, TX prevented what could well have turned into another theater shooting by engaging a suspect who ran into a theater shooting. This story received virtually no press coverage, but once again, what is demonstrated is how guns can and are frequently the instruments of salvation for the innocent. Just days ago, a woman in Georgia shot an intruder who had broken into her home. She hid with her children in the crawl-space, but when the thug came into view, she unloaded on him. There won’t be a widespread push to get this into widespread circulation, either. Just as our society is beginning to break down, and you may find yourself more frequently needing the defensive capacity of firearms, the Obama administration is trying to fast-track legislation to ban them. This is another example of how the emotions of Americans are used against them by shrewd politicians who take advantage routinely of crises to advance what is nothing more than a political agenda. It does nothing to change the reality that there are some sick and evil people who will make use of whatever weapon is available to do some of the most horrific things. As Charles Krauthammer recently explained on FoxNews, the real problem is that we have made it nearly impossible to get a troubled person committed for psychiatric treatment. That was true with the individual who carried out the massacre at the Sandy Hook elementary school, and it was undoubtedly true of many others. Given enough time and opportunity, the insane and the evil will find ways to turn almost anything into a deadly instrument of mass murder, whether it’s a handgun or a fertilizer bomb or a Boeing airliner. None of that changes the fact that one’s 2nd Amendment rights are not subject to popular vote. None of that changes the purpose of the 2nd Amendment. The founders, in their wisdom, understood that one might well have need to defend himself, and that police would not always be available to respond in time to prevent a crazy or a villain from doing their absolute worst. At the recent school shooting, this was clearly the case, since by the time the police arrived on scene, the killer had taken his own life, and there was no exchange of gunfire with police. In fact, given the circumstances, the killer could have used ‘slow’ revolvers to equally tragic effect, and nothing about the outcome would have changed. The purpose of our 2nd Amendment is to afford you the possibility of repelling attackers, and dealing with insane and evil people who prey upon their fellow man. They understood that there would always be good cause for self-defense, and given their recent experiences, they also understood all too well that some times, the evil and the crazy act from behind the shield of official power. One would think that somebody would eventually consider the death tolls governments have inflicted on their own people over the last century, but somehow this death toll, numbering in the tens or hundreds of millions always manages to escape notice. No other sort of institution has inflicted that sort of carnage whether private or individual, and yet we have some number of people who suffer under the delusion that governments are to be trusted as the sole armed defender in a given society. I saw an interesting image on Twitter Saturday being re-tweeted around and what it said was that “a movie about a society in which only police and military are armed has been made,” and when you click into the picture, you see a scene of execution and the title of the movie: Schindler’s List. So You Like 100 Watt Light Bulbs? Better Stock Up! 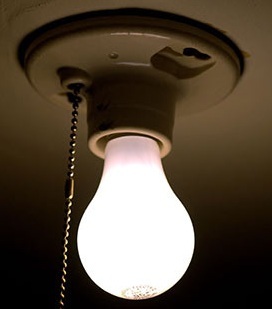 Effective at midnight, certain types of light-bulbs will be against the law. 100-watt incandescent light-bulbs are the first to be phased out due to a miserably wretched piece of legislation passed in 2007. 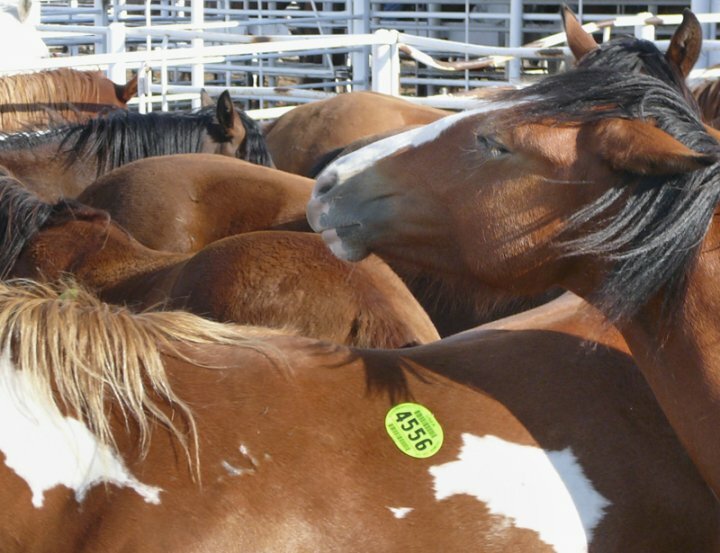 It’s true that Republicans managed to place a provision into a recent bill that would de-fund enforcement through September 2012, but the fact is that most manufacturers and retailers will comply, not wishing to risk being outside the law. That’s right: 100 watt incandescent bulbs of the sort we’ve been using for decades are going away, and if you don’t like it, you can thank the Democrat Congress of 2007 and and of course President George W. Bush, the “compassionate conservative” who signed this idiocy into law. Hurrah for compassion! Hurrah for government regulation! Hurrah for George W. Bush! If you’re not happy about this, you’ve got just a few more hours depending on your timezone. Many Americans like me find compact florescent bulbs to be problematic. They contain toxic mercury, and there is already talk about disposal issues, never mind the problems you might have if you break one. They’re expensive, and in truth, despite the hype, they don’t last any longer, and I’ve encountered a number of these with defects. In addition, they drive my pets insane, because apparently they emit high-frequency noise that I cannot hear, but they can. We’ve gotten rid of every one of these from our home, since we have no desire to torture our pets. More problematic, the light they produce is in a wavelength that bothers my eyes, and seems to trigger migraine headaches. Of course, why would the Democrat Congress of 2007 or the compassionate George W. Bush care about that? No, they don’t understand that while I don’t mind if others wish to have these compact florescent bulbs, but they shouldn’t mind either if I retain the choice to pay the few pennies more in electricity bills in exchange for avoiding all the troubles they inflict in my own home and life. The other alternative is the LED bulbs, but they’re outrageously expensive, and I’ve not figured out how to finance a house-full of them. Perhaps a second mortgage? The other problem is that my only experience with them is not a good deal more positive in terms of the light emitted, but I’ve decided that as a practical matter, I have no intention of being an early adopter of the technology because it’s fantastically outside my budgetary constraints. Of course, neither the Democrat Congress of 2007-2011 was the least bit worried about budgetary constraints as shown by the growth of our federal budget, and it doesn’t seem that either the compassionately conservative Mr. Bush or the fantastically radical Mr. Obama had any concerns about the effects of this law on working stiffs. Of course, the thoughtful will have noticed that there exists no similar measure one can adopt to protect one’s future health-care from the mandate that will be Obamacare, at least not for working stiffs. 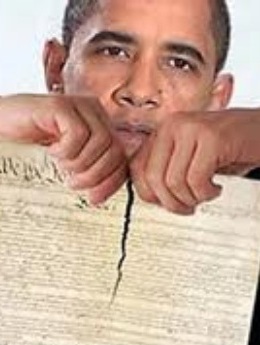 Fortunately for them, neither the Democrat Congress of 2010 nor President Obama will suffer those limitations. After all, they have you to pay their bills, light their corridors, and dispose of their toxic bulbs. Hurry on down to your local big-box store and buy up such 100-watt bulbs as you can still find. They’re going away, and you have nothing but the compassion of big government liberals of both parties to thank!